Bandai America Incorporated and Warner Brothers Consumer Products announced today at New York's International Toy Fair that the two companies have signed an agreement awarding Bandai America the master toy license for the popular Warner Brothers Animation series Teen Titans. Following the adventures of DC Comics teen Super Heroes Robin, Cyborg, Beast Boy, Starfire and Raven, the high-adventure animated series airs Sundays at 10 p.m. ET on Cartoon Network and 9:00 a.m. ET on Kids' WB! Proving itself an animated powerhouse and consistently garnering strong ratings in its timeslots, Teen Titans has become a huge hit for Cartoon Network and Kids' WB!, generating high demand for product. Under the agreement, Bandai America will produce a full line of action figures, vehicles, playsets, electronic products and role-play accessories based on the characters. The first wave of products will hit store shelves in Spring of 2004. "We are taking our well-recognized toy development and marketing expertise to bring the amazing Teen Titans characters to the action figure aisle," said Bill Beebe, senior vice president of sales and marketing, Bandai America. "Warner Brothers Consumer Products has carefully nurtured the Teen Titans property from initial concept, and we are excited about the opportunities this partnership provides both of our companies." "In developing a vibrant, engaging toyline, Bandai America has demonstrated a unique understanding of the Teen Titans property," said Karen McTier, executive vice president of Domestic Licensing for Warner Brothers Consumer Products. "Each item in Bandai's line is a fresh approach to classic play patterns that translate the animation into a line of toys that bring the property's energy, color and humor to life." Based on the popular DC Comics' characters, Teen Titans features five teen Super Heroes, each with special powers and abilities. Led by Robin, this group unites to form a force to protect their teeming, sun-baked city from a new generation of villains, while still coping with the challenges of adolescence. When they work together as a team, their powers are formidable. Yet they still struggle with the same challenges every teen has -- sibling rivalry, the pressures of school, taking responsibility, jealousy and fitting in. 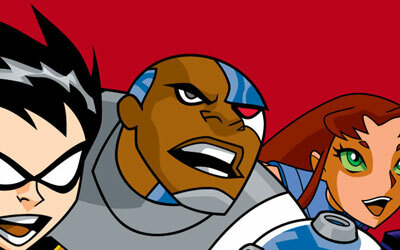 Upon its debut on Cartoon Network in July 2003, Teen Titans became an overnight sensation, with ratings through the roof and airing three times a week to an average audience of over two million viewers. In November 2003, the series premiered to also become a breakout hit on Kids' WB!. In addition to its regular timeslots on Cartoon Network and Kids' WB!, 52 brand new episodes are currently in production for 2004. Bandai America's toyline will center on the core characters from the show with 3.5-inch action figures available, featuring an assortment of cutting- edge gadgetry and accessories. They will also come packed with vehicles and playsets based on designs from the show, including the T-Sub and Teen Titans Tower -- the headquarters of the crime fighting team. 5-inch figures will also be available, each featuring a different sound or unique action feature. Miniature Comic Book Heroes figures will be available in packages of six, and two role-play sets allowing children to become the Teen Titans are planned as well.